After a fifteen-year absence, Leeds could go one step closer to the promised land of the Premier League as they host Wigan on Good Friday. Marcelo Bielsa is so close to achieving what so many before him have failed to do, while he’s guaranteed the club’s highest finish since the club dropped out of the top flight in 2004 - ten points from the final four games will guarantee it. But this is a game with implications at the other end of the table, as Wigan are scrapping against relegation and took an unlikely point from league leaders Norwich last Sunday. No team in the Championship has taken more points on home soil than Leeds this season, who have won 14, drawn three and lost four of 21 games at Elland Road so far. They’ve won five of the last six games there, with the only defeat coming against promotion rivals Sheffield United. It’s also been two convincing wins on the bounce for Bielsa’s men over the past week, as they followed up a solid 2-0 win away at Preston with a dominant 1-0 win over Sheffield Wednesday last Saturday, with the scoreline kept tight only by the goalkeeping heroics of the Owls’ Keiren Westwood. Marcelo Bielsa does not like to change his winning formula, and having suffered with injuries all season, he has a largely fit squad to choose from, with the likes of Kemar Roofe (still the top scorer with 14 goals), Jack Clarke and Adam Forshaw having to settle with a place from the bench - another plus as the Argentine has potential match-winners and game-changers to bring on. He’s only made two changes to his line-ups over the past eight games, both of which were enforced - one for a one-match suspension for goalkeeper Kiko Casilla, and one for club captain Liam Cooper, who pulled a muscle in the warm-up last week. Gaetano Berardi could replace the Scot once again, but otherwise it’s likely to be Patrick Bamford up front, with Pablo Hernandez playing a kind of wide playmaker role - the Spaniard has 12 goals and 12 assists so far and appears a shoo-in for the club’s player of the season award. Wigan’s form at the DW Stadium is what’s keeping them alive in this Championship campaign. They’re two points clear of the bottom three, which is almost entirely down to their home form; they’ve taken 35 of their total 42 points at the DW and have the worst away record in the division. They’ve won just once on the road all season, losing 16 of their 21 away games. 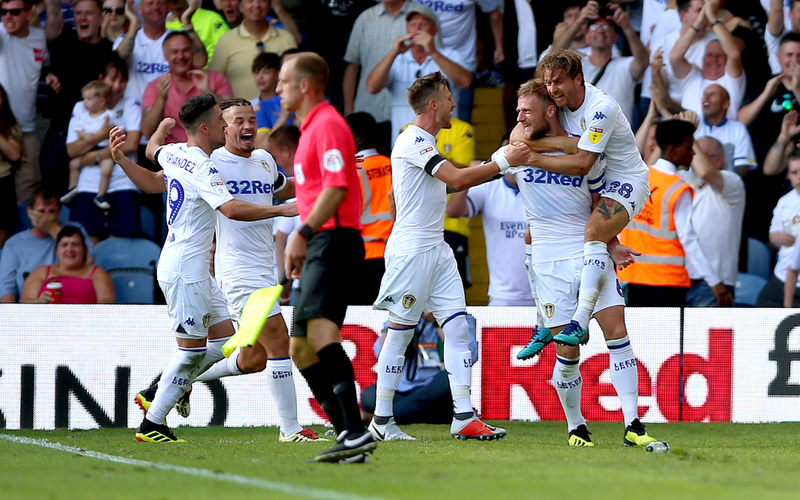 In comparison, they’ve only lost four times at home - although one of the teams to get three points there was Leeds in the reverse fixture back in November, a 2-1 win. 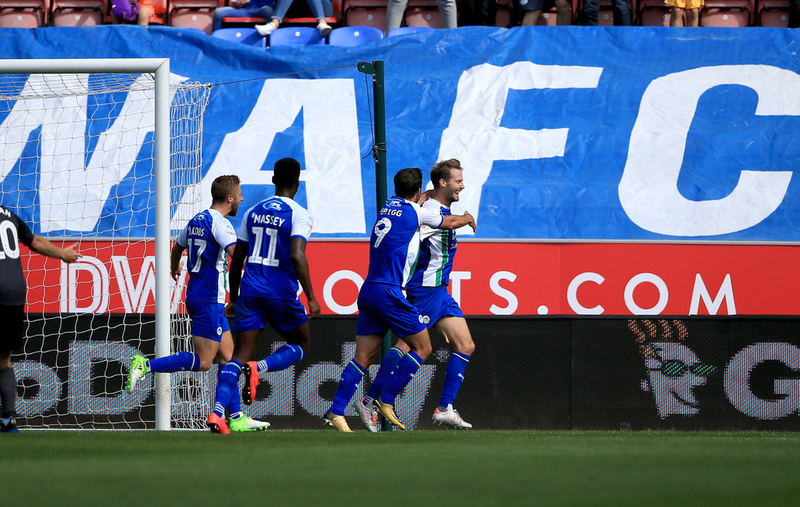 However, Paul Cook will be encouraged by his team’s performance against champions-elect Norwich last Sunday, taking a deserved lead through Reece James penalty, and only getting pegged back as a rare defensive lapse allowed the league’s top scorer Teemu Pukki through on goal. Chelsea loanee James has been moved into midfield to have more influence on the game and that’s working well, while at the back Chey Dunkley was immense last weekend and will be hoping to put in a similar performance against another promotion contender. Cook has a full-strength squad to choose from again, but is unlikely to make any changes.